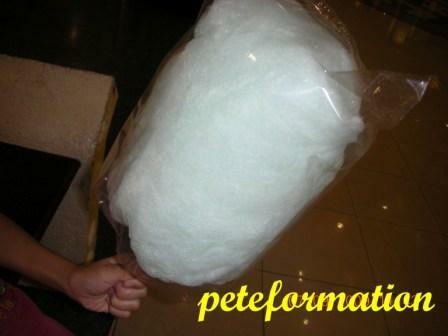 PeteFormation Foodie Adventure: When was the last time you ate candy floss (cotton candy)? When was the last time you ate candy floss (cotton candy)? Candy floss is made from sugar that is spun at high speed in a large metal container where the sugar container walls are slightly heated to melt it. Due to the centrifugal force, the sugar form tiny strands which would be collected using a thin bamboo stick or a paper rolled into a shape of a cone. Artificial flavouring and colours are normally added to enhance the taste. The candy floss machine was invented by William Morrison and John C. Wharton in 1897. It became a hit when it was first introduced to a wide audience at the St. Louis World's Fair in 1904. In USA it is called cotton candy and in some part of the world it is also known as fairy floss. The USA National Cotton Candy Day falls on 7th December. This sticky and sweet amorphous solid treat dissolves in your mouth. The sugar strands will hardened once it gets into contact with water or water moisture in the air and it will no longer be fluffy. Cotton candy is commonly sold at fun fair, although nowadays you can find them being sold in shopping complexes. When was the last time you ate cotton candy? I had this some 4 years back in my home town in India, when we went for ALL INDIA EXHIBITION. They have stalls making this candy floss right in front of us. Feels like having some now. Oooo....that was really loooonnnnggg ago! I love them. Dare not intro to my kids yet. Wait till they are older. now my kids eat this, I don't ! Can't remember Pete. Been such a long long time since I last ate cotton candy. When I was very very very young. and now i'm being the bad mommy and not allow ethan to even touch them! hahahhaha.. I haven't eaten this since I was a kid. I didn't even know that there was a National Cotton Candy Day! I have only bought it for my kids once or twice only because it is usually way over-priced, espcially when compared to how cheap it was to buy when I was a kid! 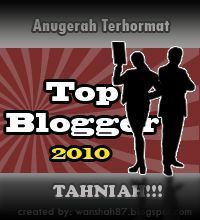 So long ago, cannot remember liao! As a kid, we used to have that when there was a fun fair...or when the circus came to town! aww..this sure bring back good memories..how we all used to chase after the guy who was selling this floss on his bicycle around the village...eons ago it seems.And wow how good it tasted.I have a good mind to go to sunway pyramid and get it for myself hahaha...and its all your fault. Yea..as Merryn said, i dun allow my kids either. Think one day i may want to let them try out...Just for the fun of it, i guess cos we dont eat if often. i call this 'happy food'. i last took this a couple of months back. happy!! wanted to last week, but was not allowed to because of my teeth. *not so happy! * lol! Wow! that cotton candy is huge! I can't remember when I last had a cotton candy. when we were kids we couldn't help to eat sweets, but when we are all grown up. It doesn't seem to be too attractive, does it? Oh...I think that's too long ago...don't even remember how long. i used to buy for my children when they were young. Oh, very recently..Guess what I always steal some from my daughter..lol..
oh i had this long long long time ago and i still quite like it. ages! and that looks like a huge candy floss.did you get sugar high? I loved cotton candy! We would get it at fairs. What a big treat it was to have some. My daughter used to bring me home some from the circus, knowing that I loved it so. haha, this is a good question!! i really have no idea when was my last time.. anyway, i remember i didn't have more than 5 times eating a candy floss..
Ooh I used to love this last time. Now, eat a little also jelak already... too sweet!